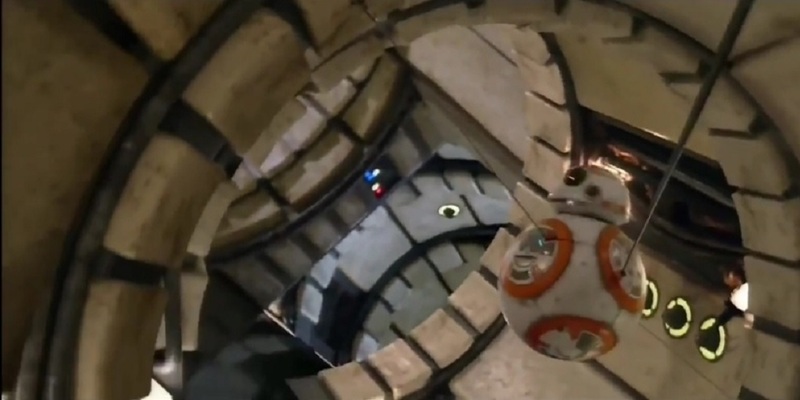 At multiple points over the course of The Force Awakens and The Last Jedi, BB-8 surprises viewers by producing piece of technology after piece of technology from compartments within its rounded surface. It appeared like BB-8's collection of gadgets was endless. give Finn a thumb's up, a series of grappling hook-type devices as the droid desperately clings onto the Millenium Falcon for dear life, or long metallic fingers used to fix ships, there's no denying that BB-8's secret stash is quite impressive.